Electric motors were first used to power machine tools and printing presses in the 1830s. Electic motors convert electric current into kinetic energy, which creates movement such as the rotation of gears. 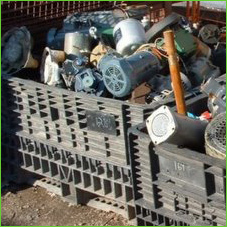 The materials in motors can be recycled – either as motors or in other applications.